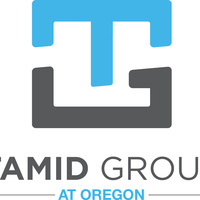 TAMID Group at Oregon is in recruitment season again! Come join us at our Meet and Greet Nights for a great opportunity to meet and get to know our current members, along with other prospective members, over music, FREE pizza and drinks! If you're interested in joining our chapter this coming fall, this is an event you can't miss! We look forward to getting to know you! The TAMID Group is a nonprofit group within the Lundquist College of Business that gives students of all majors the opportunity to hone their business and entrepreneurial skills through hands-on interactions with the Israeli economy. TAMID offers a comprehensive education curriculum, pro-bono consulting for Israeli start-ups and capital market investment research. Additionally, all members can apply to TAMID Group's nearly fully-funded Fellowship program to intern in Israel over the summer. We are not politically or religiously affiliated.